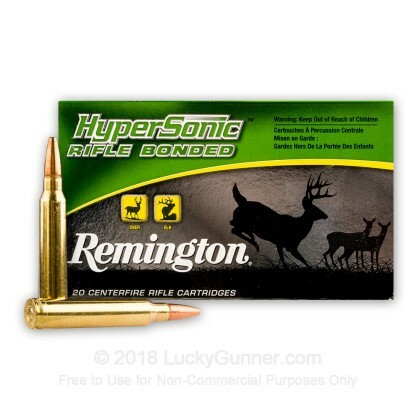 Remington's Hyper Sonic 300 Win Mag features a 180 grain bonded pointed soft point projectile flying at fast speeds ensuring a flat trajectory with great take down power. 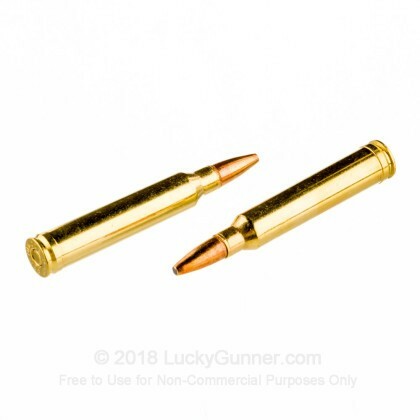 This premium load features a bonded projectile which means that the jacket and lead core have been bonded together to avoid jacket-core separation even when hitting bone. 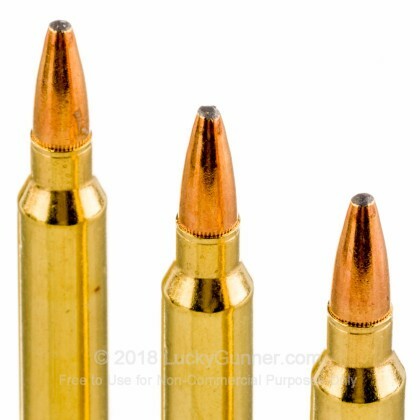 This makes this a great choice for your next big hunt. 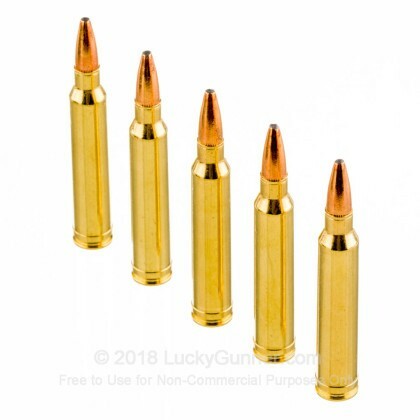 This ammo is brass-cased, boxer primed, and reloadable. 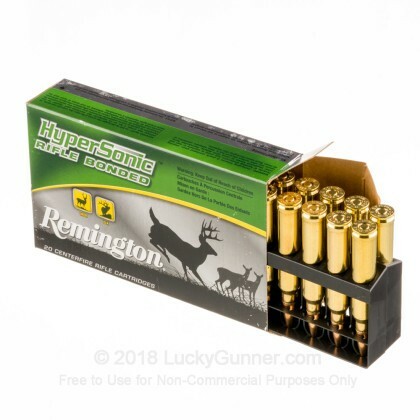 We don't have any reviews yet for this particular .300 Winchester Magnum ammo from Remington. 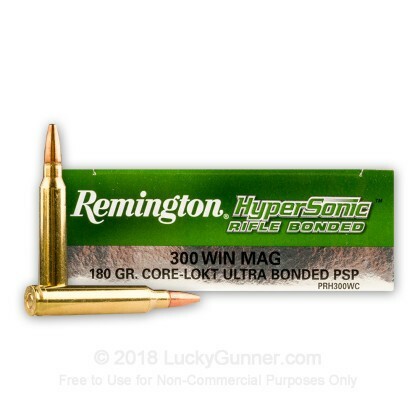 If you'd like to be the first to review this particular .300 Winchester Magnum ammo from Remington, fill out the form below.